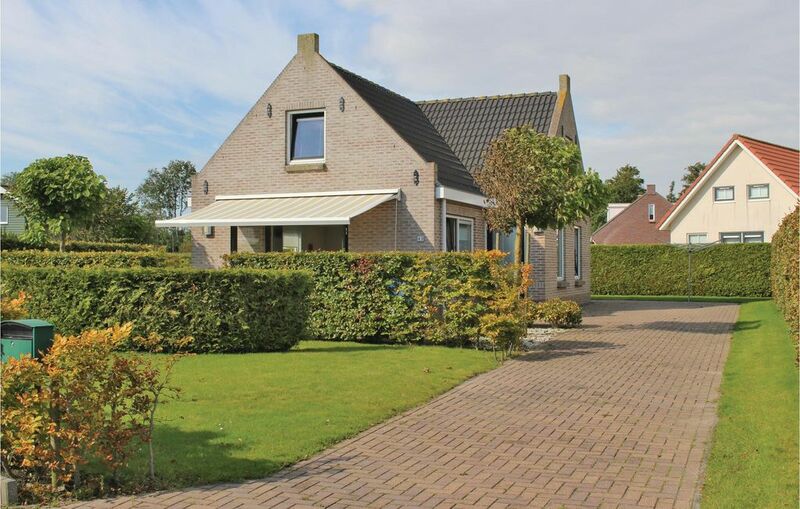 This holiday villa in Friesland is suitable for six people, there is a detached cottage in the plant Friese Wadden. The luxury villa is fully equipped and is situated on a spacious plot. Relax in the peaceful surroundings. The modern kitchen with many appliances, the ground floor with bathroom, shower and whirlpool, the first floor with the second toilet with a sink with hot and cold water provide a comfortable equipment. In the colder months you can enjoy the electric fireplace in the living room while you can open the French doors to the large terrace in warm weather. On the first floor there are three spacious bedrooms with box spring beds. Thanks to the electric sunshade, the Weber gas grills and luxurious garden furniture, you can enjoy your vacation outdoors. Around Tzummarum You can go cycling and hiking. Within minutes from the house you are on "De Dijk" with a beautiful view of the Wadden Sea. In Franeker, 6 km away, there is a subtropical swimming pool and the planetarium ice Eisinga. The Wadden Sea islands are close and for a day trip easily accessible. Perfect huis, brandschoon, groot, heerlijk alles aanwezig wat je thuis ook zou willen hebben. Wij hebben de voorjaarsvakantie ook geboft met het weer.